Gregory Bateson (1904-1980) is considered to be one of the spiritual co-founders of NLP. He was an Anglo-American anthropologist, biologist, cyberneticist and philosopher, and he made contact with Milton Erickson. 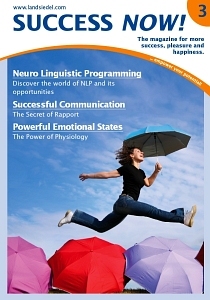 Many NLP methods have at least been inspired by his work, e.g. Dilt's logical levels, the perception positions and the ecology check. Dr. Milton Erickson (1901-1980) was an American psychotherapist who strongly influenced modern hypnosis and its use as a form of therapy. His life was affected by health issues which started with polio during his high school years. In 1957 he founded the American Society of Clinical Hypnosis. Virginia Satir (1916-1988) was the eldest of many sisters and brothers. Due to problems her parents were having she decided at the age of nine to become a "family detective". At first, she became a social worker and completed psychoanalytic training. She is considered a co-founder of systemic family therapy and went on to give lectures all over the world. Fritz Perls (1893-1970) was a psychotherapist of German-Jewish origin. In 1934, he fled to South Africa with his family before settling in the USA in 1946. He is regarded as the founder of Gestalt therapy. His workshops at Esalen Institut became world famous. Bandler came into contact with Perls' work while recording his therapy sessions.